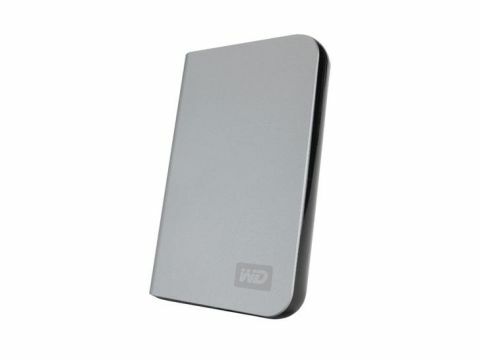 We feel the need to single out the Western Digital My Passport Elite as a true example of the genre done right. It's absolutely gorgeous, and perfectly exemplifies Western Digital's unique ability to make relatively bland products into wholly desirable items. It feels great in your hand, and it looks great dangling from a USB port. Even though WD has clearly used similar materials to those of the Traveldrive, the package appears much more exclusive. Western Digital engineers haven't just concentrated on style, though; the Passport Elite is one of the few 2.5in external drives we've seen that integrates a handy sliding cover for the USB port.